The iPhone is doing quite well in China, having led the local smartphone market in revenue — though not units — during the first half of 2018, according to one research firm. iPhone revenues hit $25.238 billion in the region, Sigmaintell said this week, quoted by Taiwan's DigiTimes. This is despite only coming third in unit shipments at 32.11 million, below Oppo's 38 million and Vivo's 35.5 million. In fact Huawei would technically have led them all with 58.96 million, except that some figures were split off into its Honor brand. The gap between Apple's income and shipments is presumably linked to high prices. 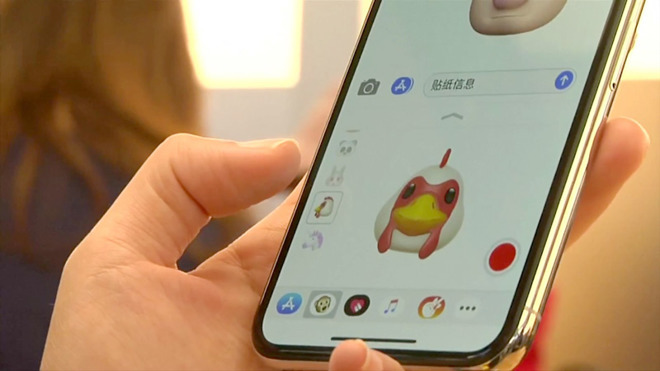 An iPhone X starts at $1,216 in China, making it far more expensive than most smartphones there, many of which probably cost half or a third as much. DigiTimes noted that at least one local report has claimed the iPhone X accounted for half of the iPhones sold in China during the June quarter, but this figure is disputed by other sources saying iPhone 6-series devices make up the majority of shipments. A new iPhone can easily cost some Chinese workers a whole month's salary, which helps the appeal of older hardware. Globally Apple reaped $53.3 billion in revenue during the April-June period, $29.9 billion of that coming from shipments of 41.3 million iPhones. CEO Tim Cook said that the iPhone X held onto its position as the most popular model overall, even though the iPhone 8 line may be doing better in the company's U.S. homeland.